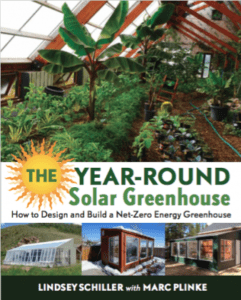 Step into the solar greenhouse at Golden Hoof Farm in Boulder CO and you’re greeted not by a monoculture of mass-produced greens or flowers but by a forest of fruit trees — guava, avocado, mango, banana, lemon, lime, orange, grapefruit, starfruit, dragon fruit, pineapple, pomegranate, passionfruit, cinnamon and allspice. 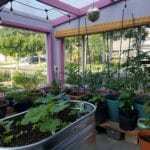 Taller trees are planted to create a canopy above, while shade tolerant varieties grow underneath mimicking the layers of a real tropical forest. 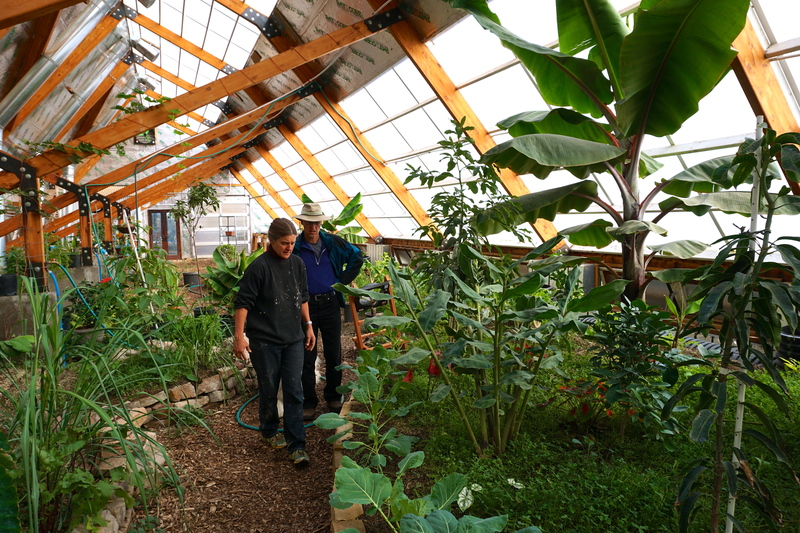 The understory is filled with the more standard greenhouse offerings like kale, chard, mustard greens and tomatoes. 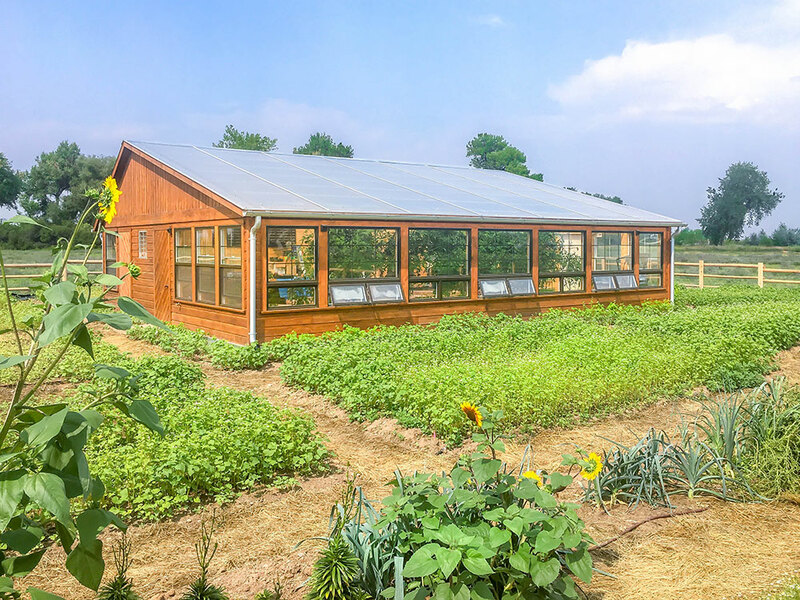 The floor of the greenhouse is not concrete, but instead a green blanket of clover which takes in nitrogen from the air and returns it to the soil. 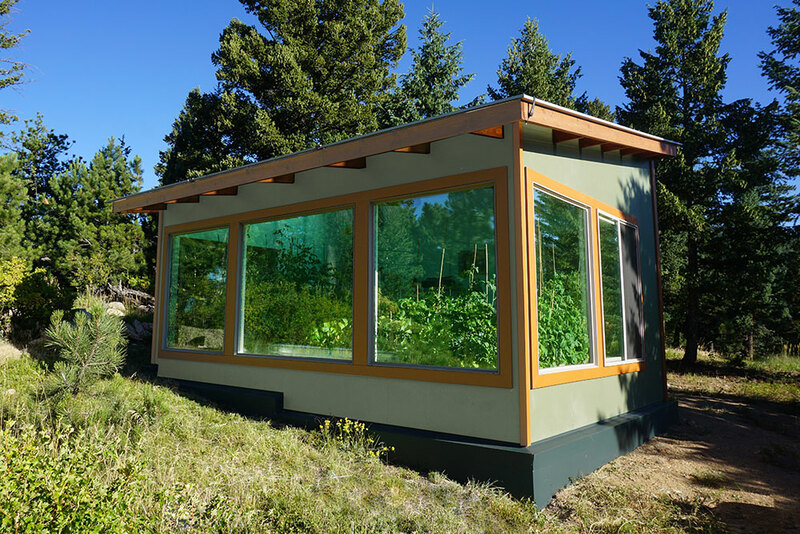 Suffice to say, this is anything but your ordinary commercial greenhouse. 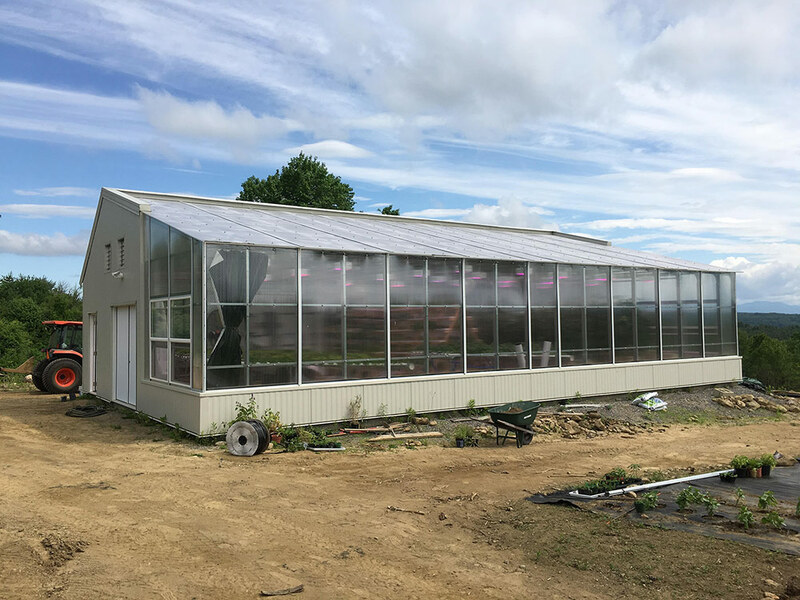 The greenhouse is a small component of the Starek’s dyanmic farm: Alice and her husband Karel produce sustainably raised pork, lamb and eggs. The meat is raised in a far superior manner to the “organic” or “naturally raised” products found in the grocery store. Their animals are fed pre-comsumer kitchen scraps from local restaurants and have an immense amount of space to roam. All in all the Golden Hoof looks and operates more like a farm in the 1900s than a farm of today, except that instead of limited crops they are producing bananas, lemons, figs… Their growing style may follow the Slow Food mantra, but it is anything but limited. 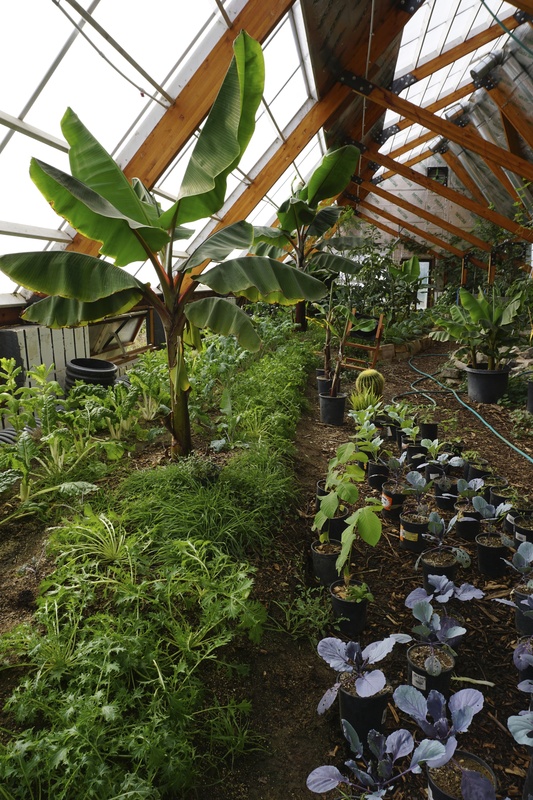 There’s not many places in the US you can have a farm to table banana smoothie year-round. 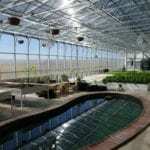 Much of this is possible given the energy-efficient greenhouse design. 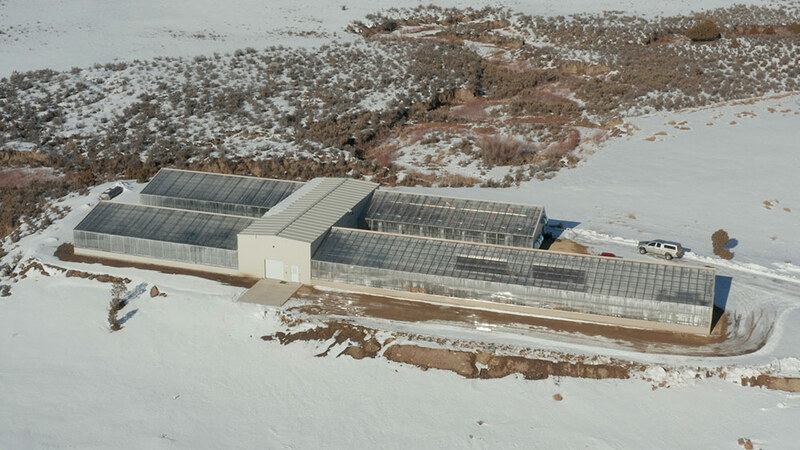 The greenhouse is roughly 3,000 sq. 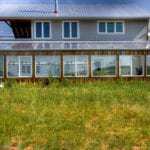 ft. (30 x 100), relies on passive solar greenhouse design. 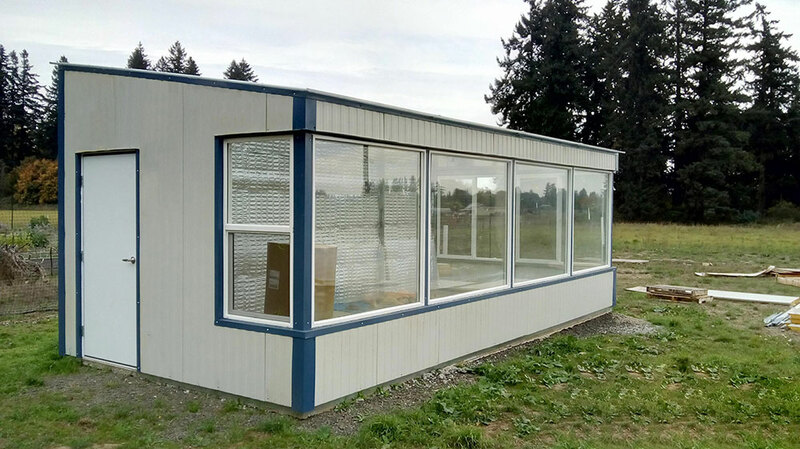 The glazing (polycarbonate panels) faces South and the remaining structure is made out of highly insulated walls. 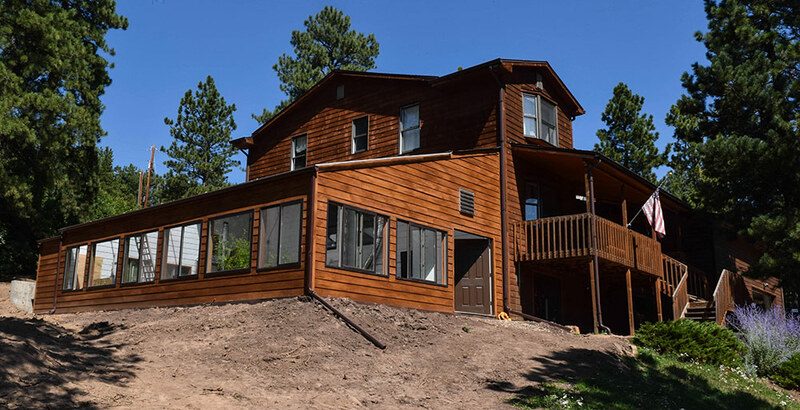 Low vents on the South side (pic below) draw in cooler ouside air and high vents on the North side exhaust hot air for passive convective cooling. 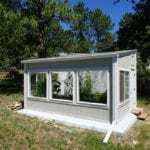 While the greenhouse uses passive solar design, it also utilizes some active elements. 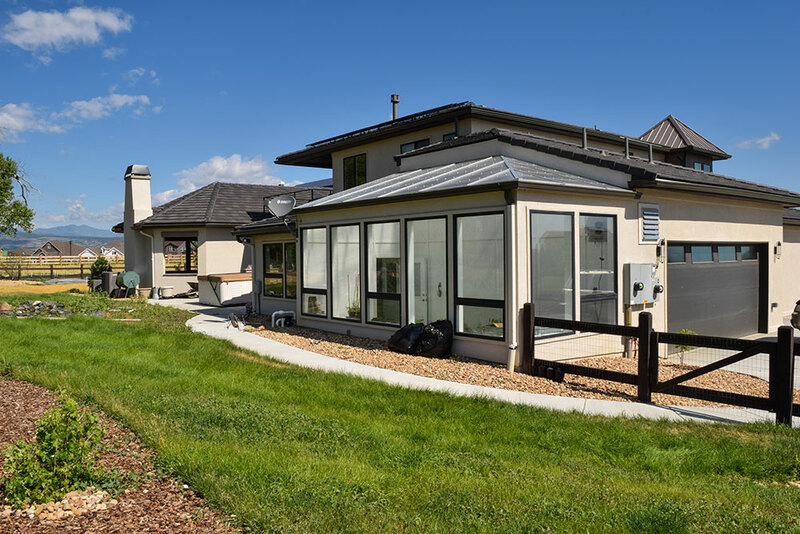 A Ground to Air Heat Transfer (GAHT) system, also known as a climate battery, uses fans to circulate air through a network of pipes buried underground. 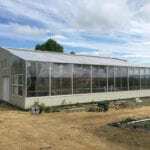 This allows the greenhouse to store excess heat created in the greenhouse deep in the soil. 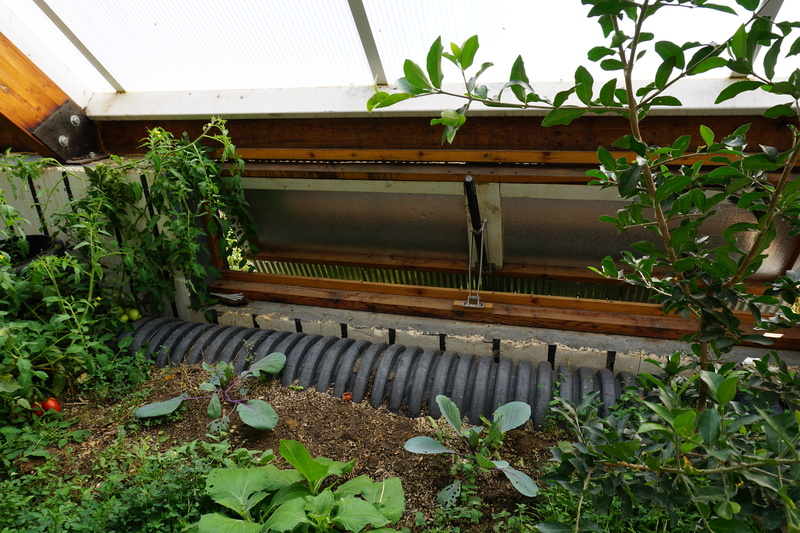 The soil acts as storage and the fans move the air (and heat) through the soil drawing it back up into the greenhouse. 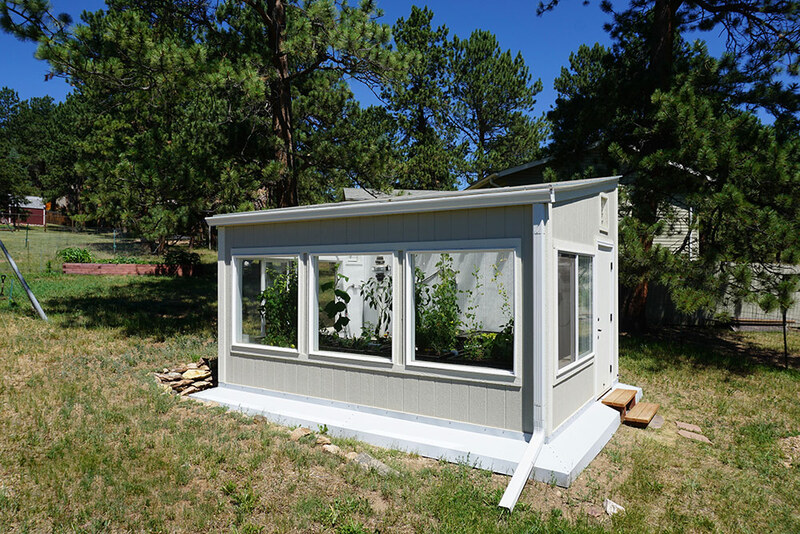 This automated system allows the greenhouse to store it’s own heat, or as we say to be ‘self-heating and cooling‘. 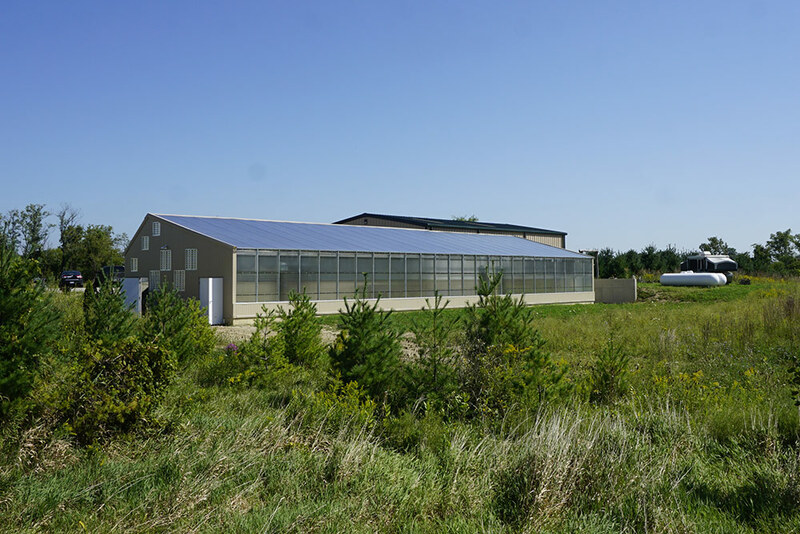 Working in tandem, the passive solar elements and the GAHT system stabilize the temperature swings of the greenhouse, making it a warm tropical environment for a huge range of plants and trees. 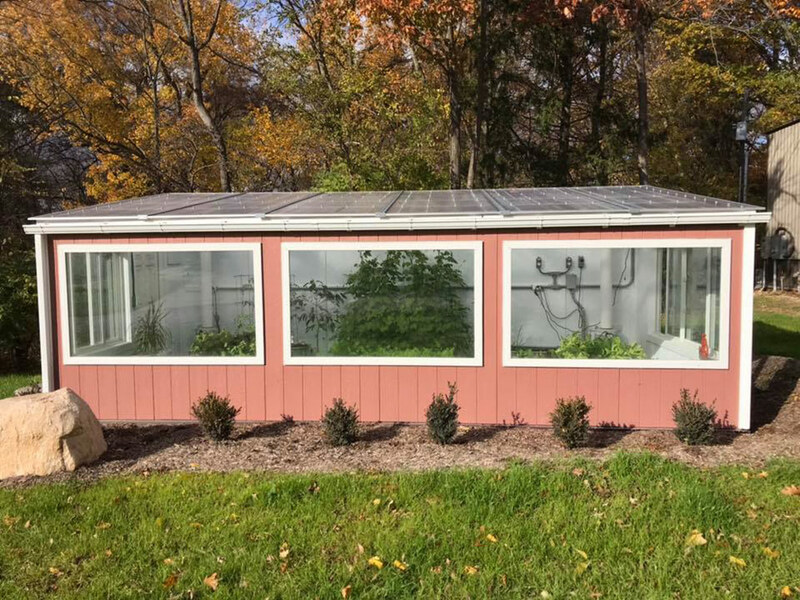 The greenhouse also houses the farm’s power station: On the middle of it’s South facing roof it holds a 12 kW solar PV system which powers the greenhouse, a number of outbuildings and the Starek’s home. 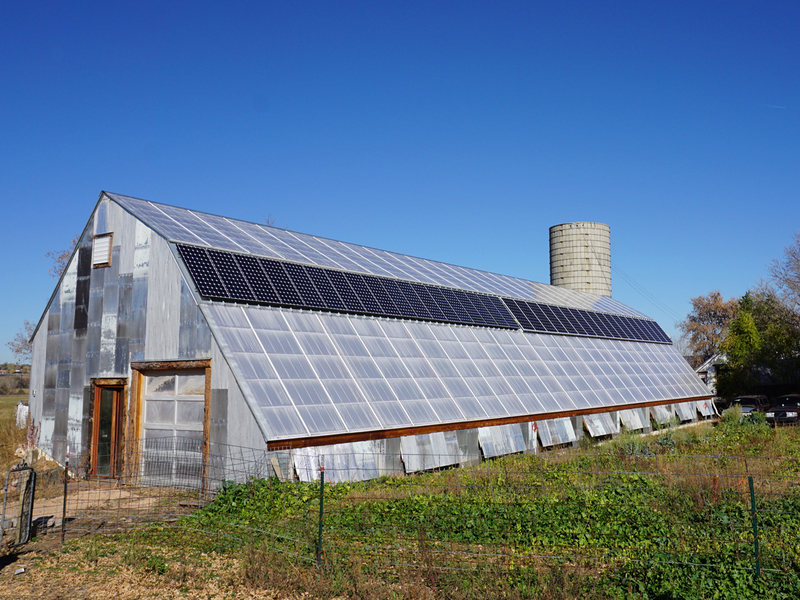 There are no gas or oil lines on the property, the PV system — in addition to a compost heater — handles all of the farm’s power needs. 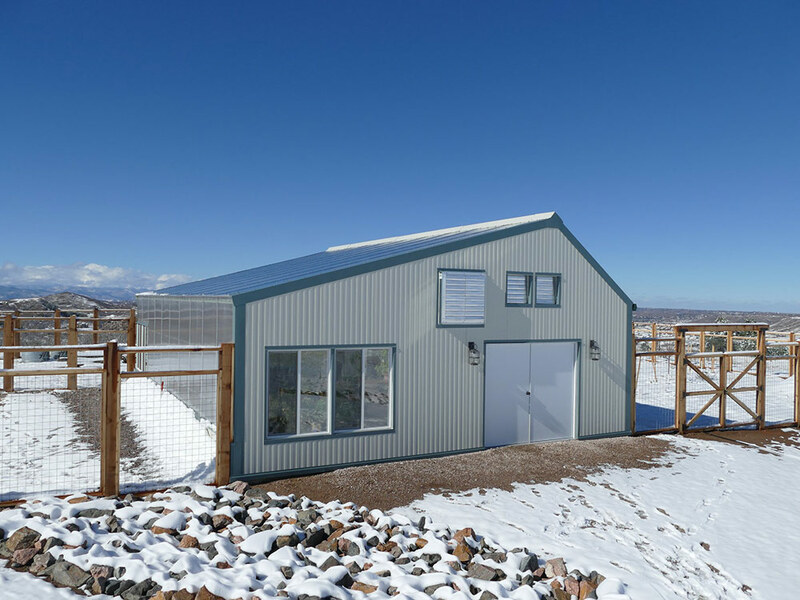 Though we described the system as off-grid, we’ll be honest here- though it has a full battery back-up that enables the entire farm to be off-grid, a Colorado provision required the system to be grid-tied. 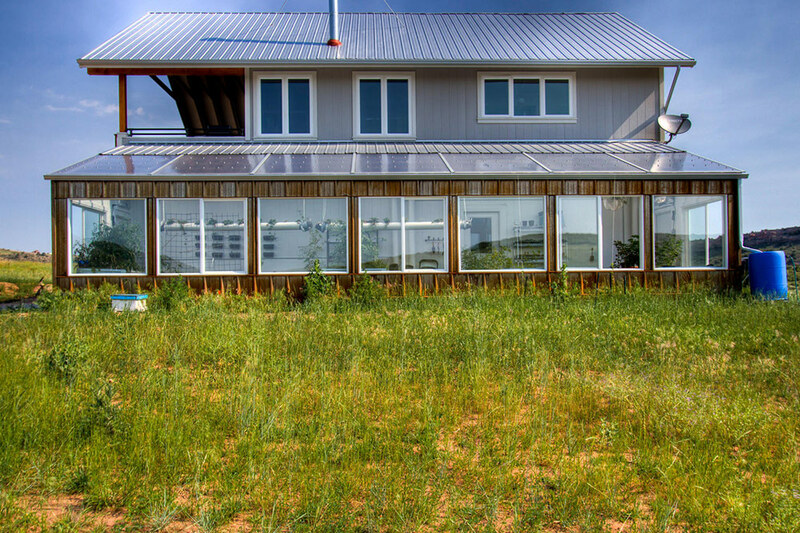 Another law also limits the size of their PV system, as if too much sustainable energy would be a threat to society (nice job law-makers). 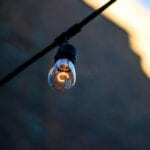 Regardless, the battery system is made of nickel-iron batteris which are non-toxic and have a 50 year lifespan. They’re stored in a protected area inside the greenhouse. 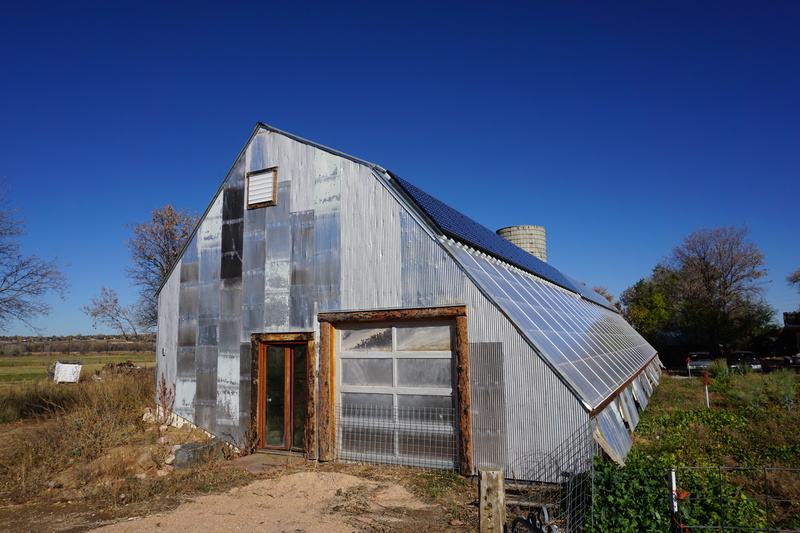 The Starek’s certainly invested a lot of time and effort to make their farm a model of sustainability and slow food. 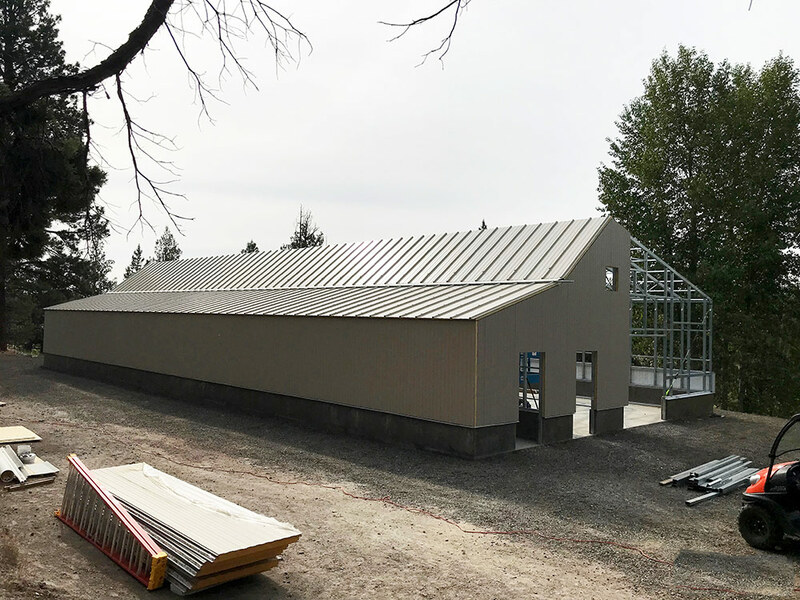 And while they invested a lot to make the greenhouse completely net-zero-energy and still a tropical forest, they also reduced costs wherever possible by building with recycled materials, like corrugated metal siding and old barn doors. 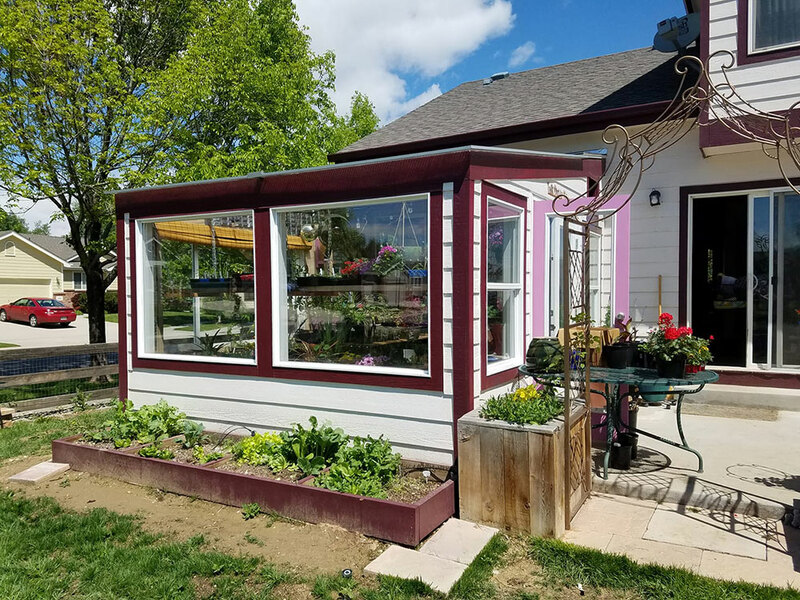 Those details give this greenhouse a spunky character that makes it truly one of a kind. 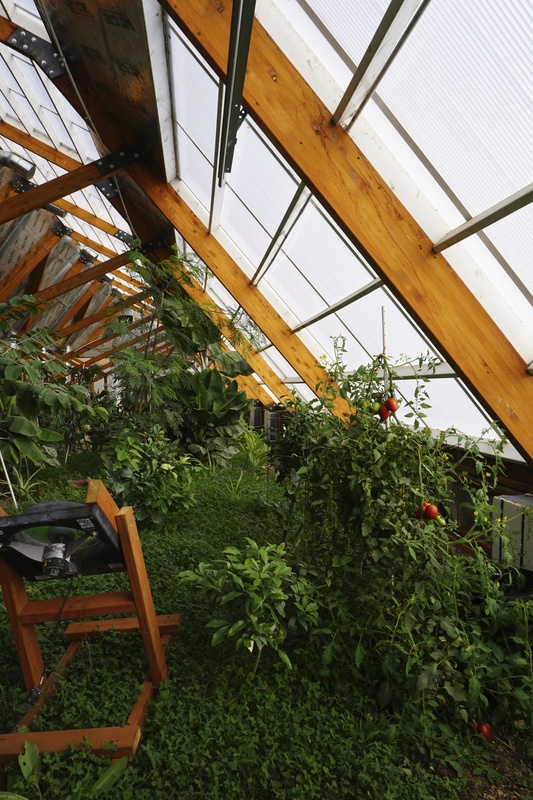 The nice thing about energy-efficient greenhouse design is that it can be scaled. 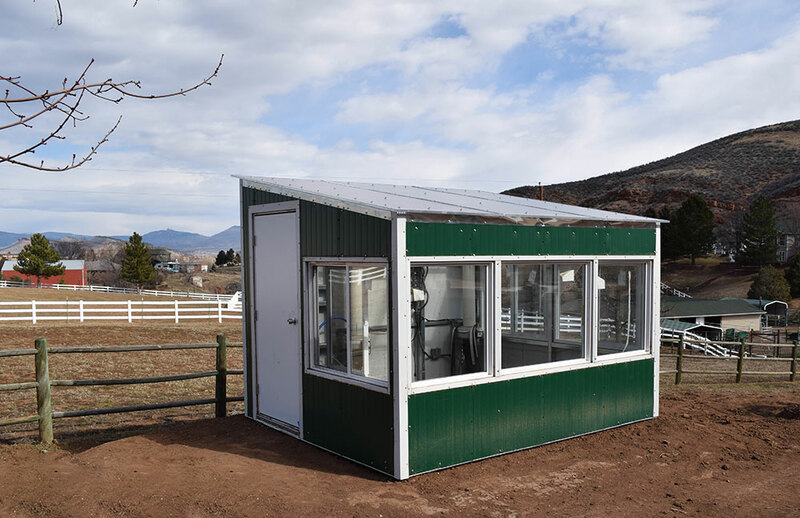 The passive solar principles and GAHT system in the Golden Hoof greenhouse can be applied to a greenhouse of any size, in almost any location. 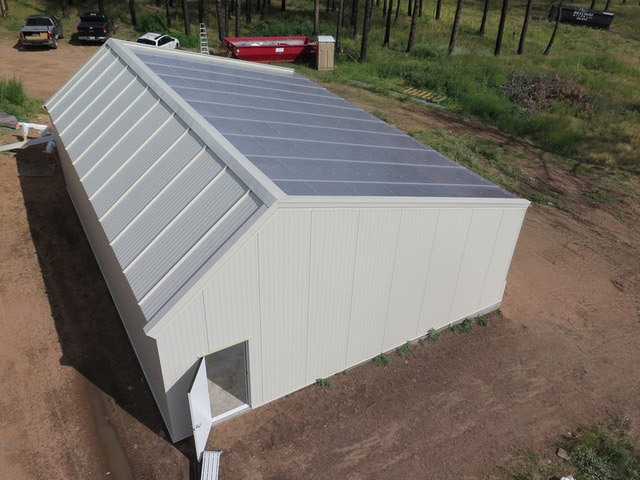 For that reason, we at CERES design and build greenhouses customized to the size, location and application, whether a tropical fruit tree greenhouse, or smaller year-round vegetable greenhouse. 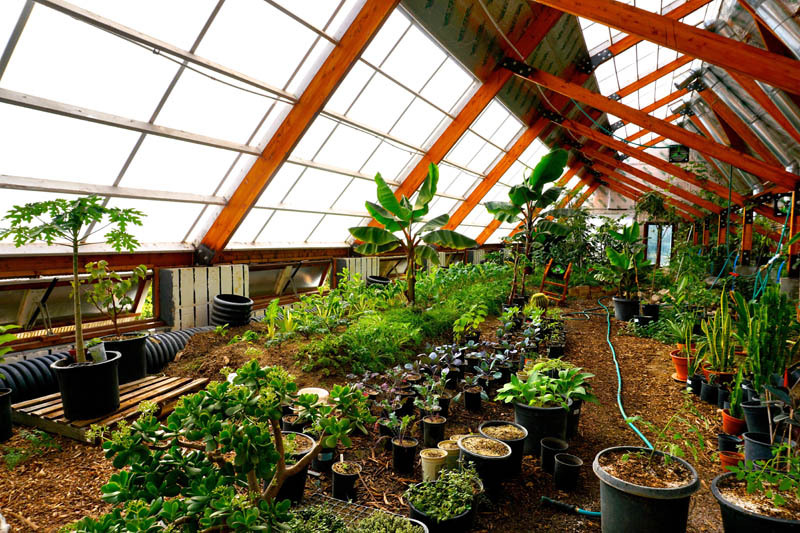 In any case, they are intended to be as smart, sustainble and abundant as the tropical forest growing in the Golden Hoof greenhouse. 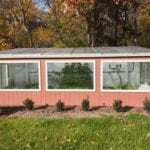 Talk to us about designing your own tropical greenhouse, and see more pictures of The Golden Hoof solar greenhouse on our Facebook Page.